Warm-up before and after exercise may reduce the likelihood of injury to muscles and ligaments. There is very little evidence supporting stretching: it is a personal thing.http://www.bbc.com/future/story/20120724-you-must-stretch-before-exercise See this article for different countries’ beliefs about stretching. 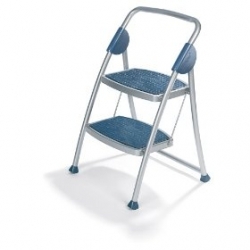 Have a good step ladder in your home and workplace . Always use it. Use a trolley for transporting large or heavy items. Wear covered shoes with non-slip soles when mowing the lawn, moving heavy items and other dangerous activities. Ask for assistance when moving furniture or ask for a removalist to assist. Be a model of safety as an example for your family. Physical activity is important for good health. Participating in sport and other recreational activities promotes social and emotional, as well as physical health. 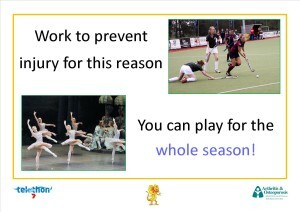 Unfortunately, sometimes we are injured when playing sport or just being active. Accidents happen, but some injuries can be avoided if we take measures to prevent them. Exercise does not cause arthritis. Regular exercise serves to keep joints healthy rather than wear them out. The exception to this fact is high impact sports on a hard surface (like netball and basketball), that can lead to excessive wear and tear to the knee joints, especially over time. It is usually the poor management of sporting injuries that is a major concern in later life. Acute injuries such as a dislocation, torn cartilage or a fractured bone (in or near a joint), will increase the risk of osteoarthritis, later affecting that joint. This result is due to the joint surface being disrupted, hence, it heals slightly irregularly. Learning first aid is a very sensible approach to managing injury. St John Ambulance conducts basic to advanced courses. Having a suitably stocked emergency kit is also a must. Teach children what to do if they or someone near them is injured.Your sporting club might consider conducting courses for families. At some high schools, there is an opportunity for students to complete an accredited First Aid Course. This site is a Sports Medicine Australia injury prevention website that has many fact sheets that may be of use for more detailed information.